I suppose anyone that would be visiting our town, and many parts of the country, at the moment would reckon we had been invaded by a different species, but reckoning is always a lot of perhaps. 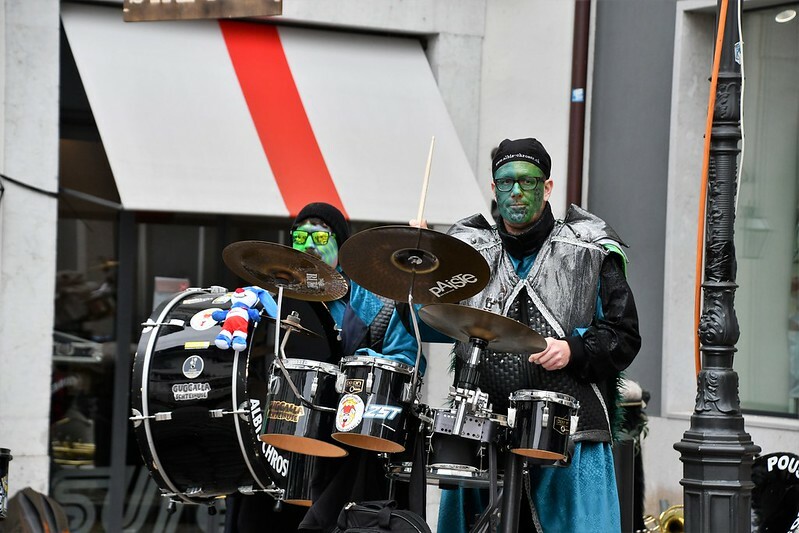 In this case we are celebrating carnival time and we do not have people with green faces and the Martians have not landed – yet. With my 72 years I have slowly stopped reckoning. I just bought a new car and I reckon to be able to drive at least 10 years with it. Is that wishful thinking? I did not reckon with the fact that I would now be qualified for a disabled persons parking space, be wheeling around in a chair to have some added comfort in my life, or be walking with a walker. I also did not reckon that when Mr Swiss became 80 years old (this year) that he would also need a stick for support when walking and that the days when I could lean on him for help would be no longer. We now lean on each other for help. I have learned not to reckon but accept life’s twists and turns and be glad for every day when you can leave your bed, even if it gets more difficult. i am not imparting wisdom for life here, but it is a fact and 20 years ago, I had no idea what would be before me, but the only advice I can impart is carry on and do not give up. So forget reckoning, although you never know, you might even have a lotto win and then you can begin to reckon what to do with the money. “but the only advice I can impart is carry on and do not give up.”–the very best advice, Pat. I know from your blog you also have your problems. but we continue regardless. I never thought I would be a car driver again but up to now it seems to be working. Who needs to lift a left leg when you have an automatic. I just have to lift it to put it in the car. We are woman, hear us roar. I think you are pretty amazing. Interesting think about the choices we made and realizing that we have few choices remaining. My choices seem to be how to cut costs on utilities and somehow keep the house from falling down. I am 72 in 8 days and less than a month later, Garry is 77. Time has caught up with us but we’re still here! We are STILL here.